WindowMizer is an application that will “roll-up” your windows like a windowshade. 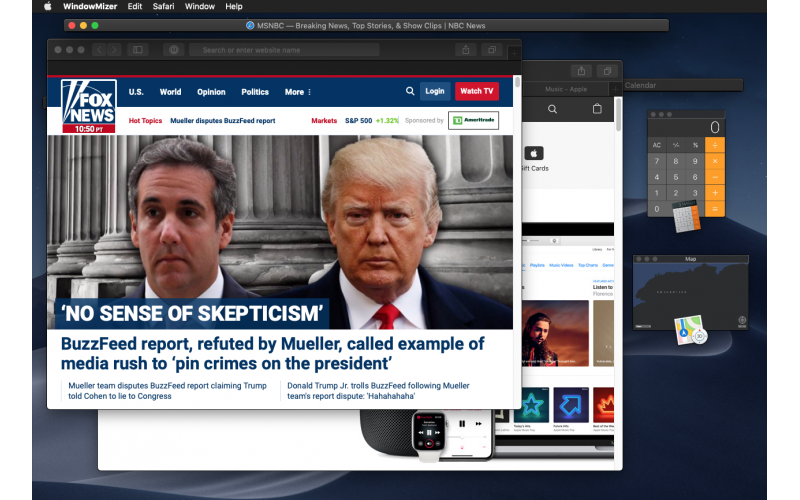 It quickly collapses a window leaving only the title bar visible. This allows you to see what’s behind the front window without losing your place or focus. Simply double-click on the title bar of a window and it will roll-up like a window-shade. The window is now out of the way yet easily accessible. Double-click again and the window restores to its original size and position. Window-shaded windows provide quick, intuative access to all of your windows because windows stay where you put them and you can see all your windows at once. Stop digging through your windows trying to find the one your looking for. Reduce screen clutter and maintain an organized desktop when working with a multitude of windows and limited screen space. Completely rewritten in the Swift programming language (formerly written in Obj-C).